The University of Queensland, Australia is inviting applicants to apply for a PhD position in molecular biology. The deadline for applying is January 31, 2019. We have an exciting fully-funded opportunity for an Australian or international Doctoral student to join the Genome Plasticity and Disease Group at the University of Queensland. Students will be based in the lab of Professor Geoff Faulkner at the state of the art in Brisbane. The project will explore the roles and regulation of LINE-1 retrotransposons in cancer. The successful candidate will be supervised by Dr Cheetham and Professor Faulkner. The student will be funded by a PhD stipend awarded in conjunction with Dr Seth Cheetham's NHMRC Peter Doherty Fellowship. Professor Faulkner's Genome Plasticity and Disease group is internationally recognised as a leader in the retrotransposons field. The group has a key focus on the roles of retrotransposons in human biology and disease, which has resulted in major publications in prestigious journals including Cell, Nature, Science, Nature Methods, Nature Communications and Genome Research. Mater Research is a founding partner of the TRI, working together with The University of Queensland Diamantina Institute, Queensland University of Technology's Institute of Health and Biomedical Innovation, and the Princess Alexandra Hospital's Centres of Health Research to build a world-class facility supporting medical research and its translation into clinical practice. 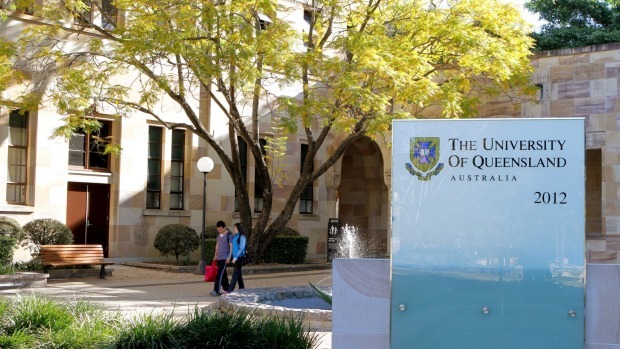 The University of Queensland ranks in the top 40 universities worldwide for life sciences. Mater Research and formalised a longstanding relationship to form Mater Research Institute - The University of Queensland (MRI-UQ), a collaborative alliance between two leading institutions working together to achieve the best possible research discoveries in health. In cancer, but not healthy cells, ~100 L1 retrotransposons "jumping genes" can copy and paste themselves into the human genome. L1s can contribute to cancer initiation by activating oncogenes and inactivating tumour suppressor genes and can drive tumour evolution, underpinning resistance to chemotherapy. This project aims to determine the cause of L1 activation in cancer. The project will identify novel factors that regulate L1 expression in cancer, transforming our understanding of the mechanism of L1 activation. As L1 expression is highly correlated with cancer severity, these factors may hold important prognostic and diagnostic value. The successful applicant will belong to a multidisciplinary, international research team that has strong collaborations across Australia and internationally. This project will include the use of cutting-edge techniques including CRISPR, transcriptomics, single cell genomics and mass-spectrometry. This doctoral training will be an ideal opportunity for both domestic and international science graduates who are planning a research career. Prospective applicants will have a strong interest in molecular biology, genetics, biochemistry and genomics. Careful consideration will be given to letters of recommendation from faculty members or research mentors who have close first-hand knowledge of the applicant's academic and research abilities. A stipend valued at $27,082 per annum tax free for three and a half years, with a possible six-month extension, will be awarded to the successful applicant. In addition there will be a top-up stipend of $5000 per annum. Queries and applications should be directed to Dr Seth Cheetham,Research Officer, Genome Plasticity Group, Mater Research Institute – UQ, via emailseth.cheetham@mater.uq.edu.au. To apply, please email Dr Seth Cheetham seth.cheetham@mater.uq.edu.auyour up-to-date curriculum vitae including names and contact details of two academic referees, and a brief statement of your research experience and interests (maximum 1 page). Please include 'PhD opportunity' in the subject line. The closing date for applications is Thursday 31 January 2019 (11:55 PM) E. Australia Standard Time.